Renfroe 3 Ton HDR Horizontal Non-Locking Lifting Clamp 0” - 2"
The Model HR is a horizontal lifting clamp intended to be used in pairs, sets of pairs, or in a tripod arrangement for transporting steel plates horizontal. The Model HDR is similar to the Model HR except that it contains dual cam assemblies which provide two gripping surfaces. WARNING - Always use in pairs or multiples - Refer to Operators Manual. Equipped with serrated gripping cams as standard equipment, both models are available with smooth, bronze or stainless steel gripping cams to prevent marring when handling polished metals such as stainless steel, copper, aluminum, etc for an additional charge. If you would like this option or are interested in any additional Renfroe products please call 800-509-6131 for a quote. An Application, Operation and Maintenance Manual is packaged with each Renfroe® product. 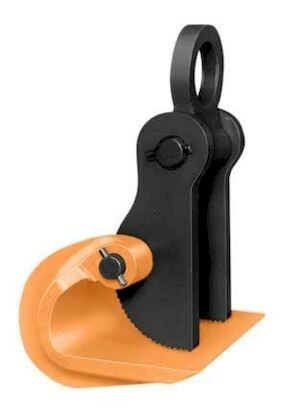 Repair Kits are also available for most Renfroe® lifting clamps. We encourage caution when using lifting devices. Refer to theOperating Aids section for important handling information.